ach season our collections for Men and Woman are entirely renewed to be in tune with the latest fashion trends. Among our collections, the LEYVA SPORT line stands out for its delicate and meticulous attention to detail revealing the mastery our artisans have acquired through years of dedicated work. Simple pelts are bestowed with fantasy and sophistication through intricate designs and they display impressive combinations and spectacular finishes. 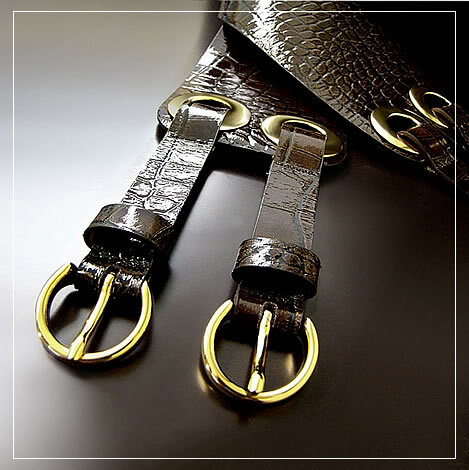 We use a wide array of the best leather for our Exotic collection designs, such as snake, crocodile, eel, lizard, ostrich, ray skin, etc. The LEYVA DESIGNER’S collection has been created for the urban man, with a touch of minimalism that is added to a modern and cosmopolitan look. 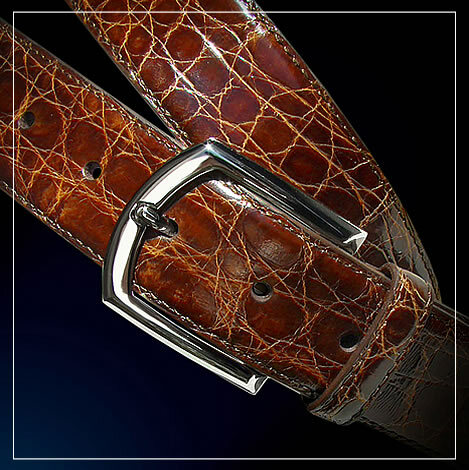 The special LEYVA PLATINUM edition is a masculine and timeless collection, with belts like jewels that have sober and elegant details. 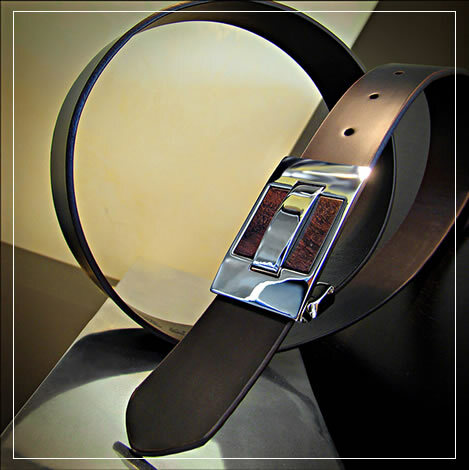 Each of this collector’s pieces charms by means of its harmonious combination of high quality and beautiful leather, special buckles and clean lines. 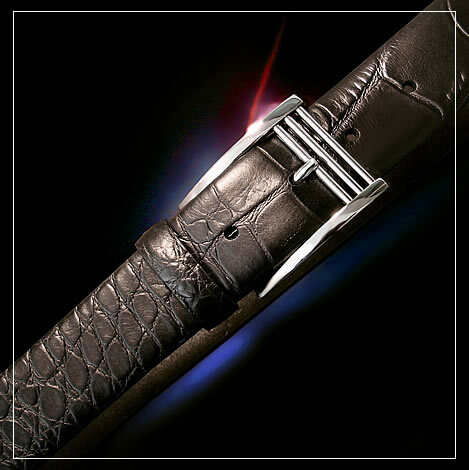 With the special edition of the Platinum series, LEYVA honours its commitment to elegance and avant-garde design. 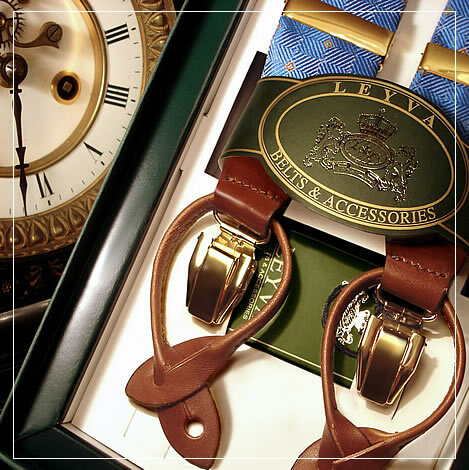 Braces are very important among the LEYVA accessories. The use of different materials in their design makes them unique and a world reference in the fashion industry. 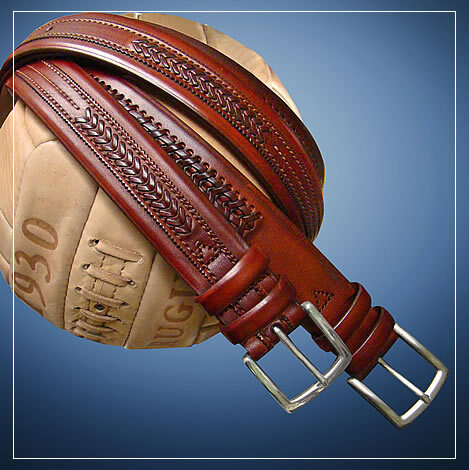 Accessories have a leading role in women’s attire and this is clearly shown by the use of leather accessories and the LEYVA Women belts are the ideal accessory to match with purses and shoes of the latest fashion. Because of their variety in widths, designs, materials and colours the LEYVA belts for women have become an essential feminine accessory. Among the LEYVA shoes collections, the LEYVA Tradición collection has a handcrafted “drake” style construction, which gives the shoe flexibility, comfort and elegance. 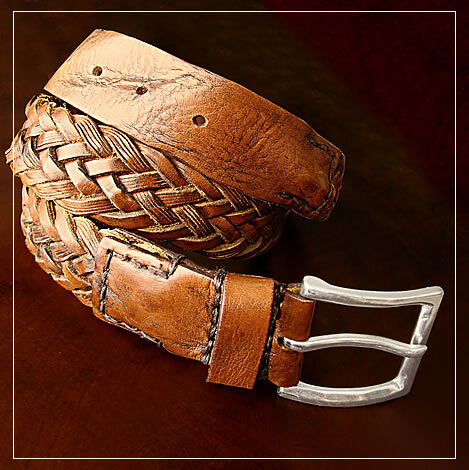 These are timeless styles which are true wardrobe basics for men. 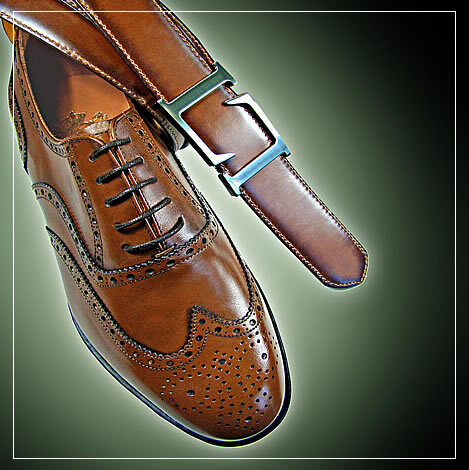 The LEYVA Regimental belts and shoes collections are informal, fun, colourful and match perfectly one another. 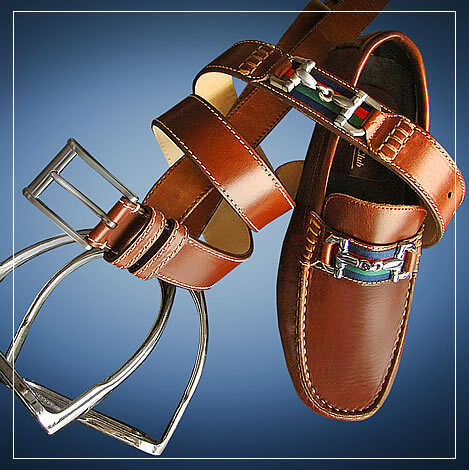 They are ideal for a comfortable and casual dress style.